In cases of advanced surgical techniques, we have great professional relationships with board-certified veterinarians within 5 minutes of our practice. Your pet's safety and comfort during surgery are our highest priority at Long Trail Veterinary Center. We are equipped with advanced anesthetic and monitoring technology that is used to keep your pet comfortable and monitor his or her condition during surgery. During anesthesia, visual vital signs and electronic monitoring is available to provide information concerning blood pressure, oxygen tissue levels, rate of breathing and heart rate and function. Our support team, as well as your veterinarian, monitors your pet's condition while he or she recovers. Prior to each procedure, your pet receives a thorough physical examination and laboratory tests, including a pre-anesthetic blood panel. This helps determine whether there are any conditions that may endanger your pet's health. All pets routinely receive an IV Catheter and IV fluids before, during and after the procedure. 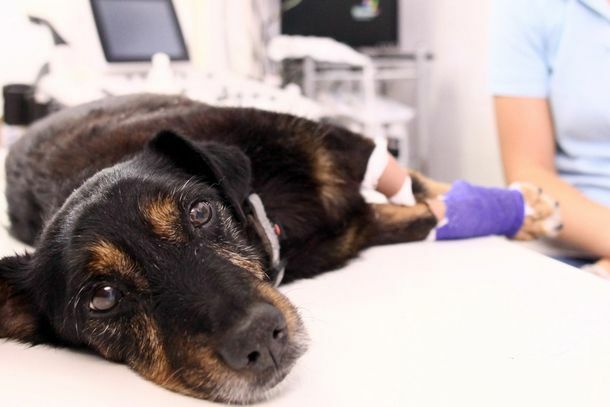 When your pet is not in pain, he or she recovers from surgery more quickly. Pain management is an important part of pre-, intra- and post-operative protocols. Pre-anesthetic medication is administered for pain and limits the amount of anesthesia necessary. We may also send pain medication home with your pet to help with the post-operative recovery. We encourage you to call with any questions or concerns at any time.